If you are a contractor or work doing handyman or remodeling work you may be interested in junk removal for your construction site. A service that removes construction debris and junk is a great way to finish your job. Junk Bros is the perfect tool for a busy tradesman to save time and keep their customers happy. That’s what it’s all about in the end! A full service construction site clean-up is just part of what we offer and is a great alternative to dumpsters. Junk removal service is a a great choice as an alternate to dumpsters or bagsters for a few specific reasons. First, if you do not have enough content to fill up an entire dumpster a junk clean up service can be a more affordable option. When you rent a dumpster, you’re paying for the unit many times and it doesn’t matter what goes into it. Or, worse yet, you can actually overfill a dumpster and get hit with overweight charges! This may prove to be a little more costly in the end. Next, a junk removal service will do all the heavy lifting and clean-up for you so you can save time and effort. Time is money, we all know that. Keep your team working on the task that makes you money while the clean-up specialists come in and do their job. You stay on task and your site is clean and safe! Third, the junk removal company will arrive at a scheduled time which allows you to move on to the next project or assignment. The customer will also not need to wait for the dumpster to be removed from the property. It’s easy to see how this benefits both contractor and homeowner or business owner. Finally, the junk removal service is focused on customer service while a trash company may not be as customer oriented. Junk removal companies also sweep, remove debris and pick up trash instead while a trash company will simply remove the dumpster and leave. Simply put, the entire area will be clean of debris when our team is done! When choosing a junk removal service you are picking more than just a junk hauler. 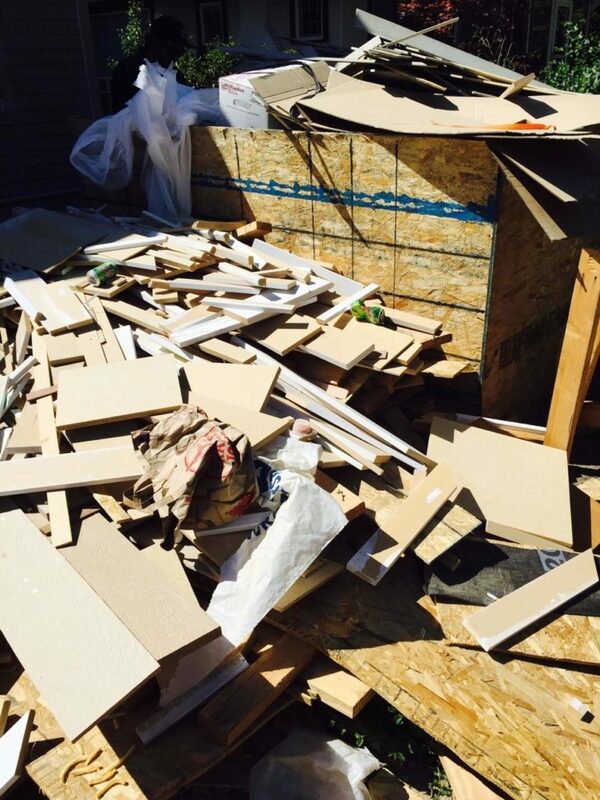 A junk removal service will provide a full service clean up of your construction site. A junk hauler is the ideal option for cleaning up a customer’s home or business after construction. We’ll finish the clean-up job for busy contractors, leaving you time to focus on growing your business.